B.I.R.D. 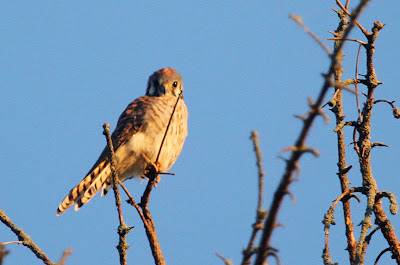 : American Kestrel, Still a Falcon But Not Related to Hawks Anymore! American Kestrel, Still a Falcon But Not Related to Hawks Anymore! The American Ornithologists' Union (AOU) published its new checklist of North American birds with lots of changes! The most talked about in my circle is the repositioning of falcons. Long believed to be related to hawks, DNA evidence has now shown them to be closer relatives to parrots and songbirds (passerines)! 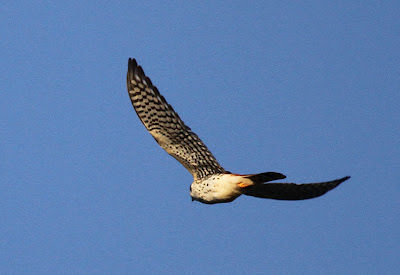 According to the AUO site: "Parrots (Psittaciformes) and Passeriformes (Passerines) are are now believed to be each others' closest relatives, and sister to Falcons & Caracaras (Falconiformes). 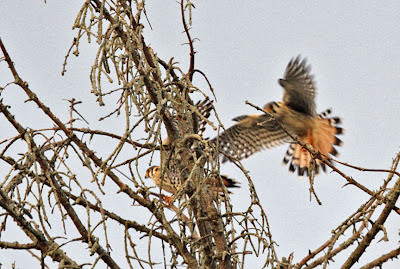 Believe it or not, hawks (Accipitriformes) are not closely related to falcons, despite the apparent similarity, and falcons are technically closer to Ruby-crowned Kinglet or House Sparrow!" 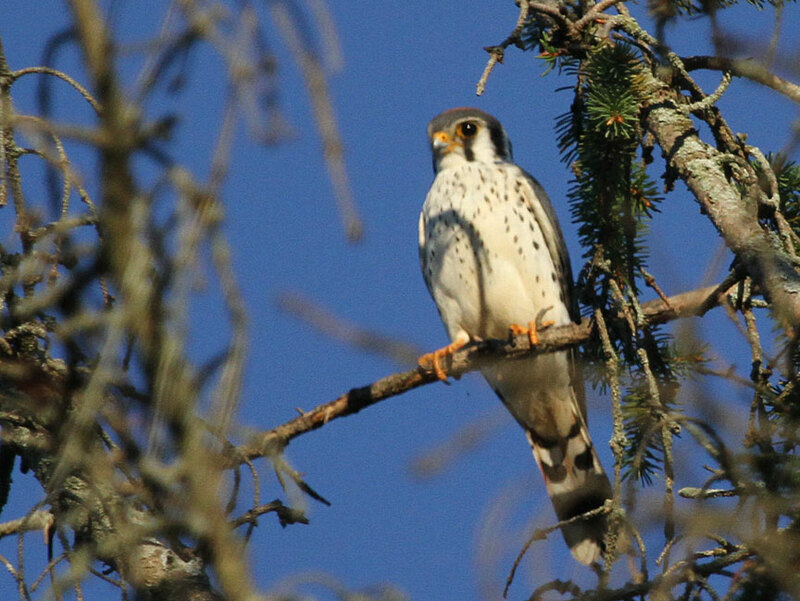 In Vermont, our falcons include kestrel, merlin, peregrine and the very rare gyrfalcon. We've been counting migrating nighthawks (not hawks either but this isn't new) and Gerry captured some great pictures of the resident kestrels. 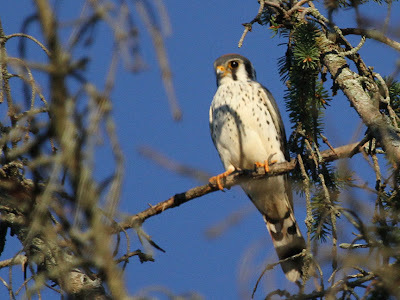 I'm sure we'll continue to count falcons along with the hawks and other birds of prey when we participate in the Putney Mountain Hawkwatch starting in a few days. Stayed tuned for more pictures of our Maine trip! Beautiful Kestrels photos. Interesting info. Common Nighthawk - or is it a Kite?